The MoCA (Museum of Contemporary Art) is a world renown ‘chain’ with outposts worthy of a stopover from downtown Shanghai to uptown Cleveland (see below). One of the newest additions to the family resides in a very different environment – even more remote than DIA Beacon – in the hills of Massachusetts, just south of the Vermont border. 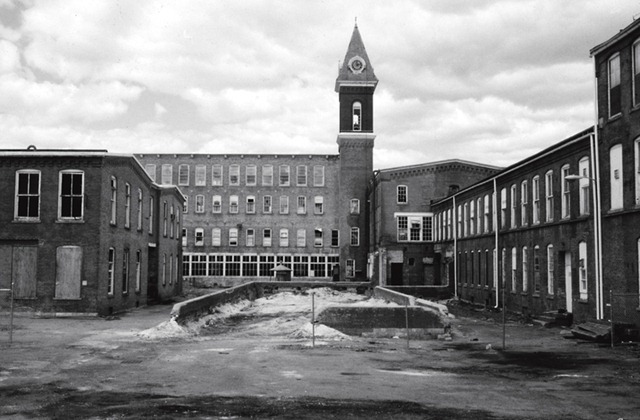 Housed in 26 former factory buildings (above, right), MASS MoCA is one of the largest CA museums in the world. 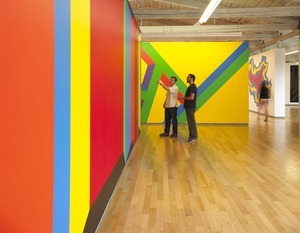 And it’s size isn’t the only impressive factor, here, where 100 wall drawings by Sol Lewitt are on permanent view. With an inexpensive, plentiful housing market and an imitable resource of upcoming and established artists, you could imagine little known North Adams to be booming. Not so. See, NA is suffering the same fate of post-industrial cities, trusting they could “turn themselves around by putting in art galleries and developing economies based on what bestselling author Richard Florida called the creative class” (1). While students and music/ theater / art lovers journey to Tanglewood or Williamstown or North Adams for short sojourns, the town’s longtime residents have remained unchanged and relatively unaware of the treasure in their backyard. And the economy hasn’t felt the impact it was promised (300 jobs created instead of 600+). And so it appears as though the tale of the starving artist translates on a broader scale, becoming the tale of the starving city, as Main Street, once booming during the era of industrialization, now better resembles a ghost town. The question of how much this so called ‘creative class’ can revitalize a city is not a new one. In Cleveland, neighborhoods actively recruit and vie to acquire galleries and artists interested in live/work space. Some neighborhoods look to art to rescue them from despair, while others, like University Circle, attract art because of the wealth of resources that already exists. 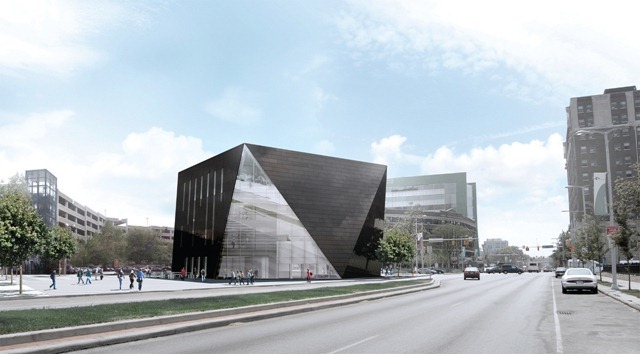 In Cleveland, MoCA recently abandoned it’s midtown ex-factory building in favor of a new, glossy geometric gem by FOA (above). The location, a stone’s throw from the Cleveland Institute of Art, Case Western Reserve University and the Cleveland Museum of Art is of course a desirable location for any organization; but the question lingers: as uptown improves it’s lot, what happens to the fledging midtown? I worked at MASSMoCA for 2 years, and still go back as often as I can. North Adams is a great place to live, with a lot of opportunity for the “creative class” types. I think you’ve hit on the issue though–MASSMoCA created only about 300 jobs, most of which were for people they had to import in, not for locals. And while those imported employees spend money in town, the problem with working for a non-profit, and particularly an arts non-profit, is that the employees don’t have a lot of extra cash to give the economy the boost it needs. I’m not sure how that translates to Cleveland, which has the advantage of being a city where I would imagine the economy boosts the arts community and not the other way around. 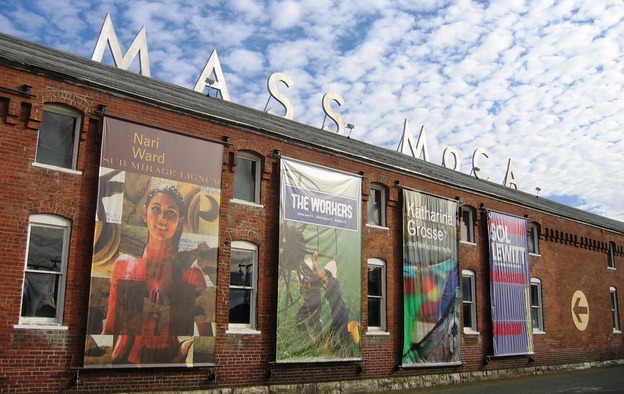 Have you been to MASSMoCA? I’d be happy to road trip there with you! I had no idea you worked there, Angela! I’ve never been but would love to go road tripping – it appears as though the vast complex deserves a few days tour. I know of people who have spent summers in Williamstown and Tanglewood, too, and describe the landscape as stunning. I spent some time interviewing in Upstate New York a few years ago and witnessed similar phenomena of young artists / entrepreneurs taking over warehouses but the Main Streets of these tiny towns barely sustained more than one coffee shop or drugstore. In Cleveland, its a similar scenario in the sense that areas that don’t have thriving theaters or galleries are left in the dust, while restaurants and shops cling to the arts’ presence in denser areas. I suppose pop-ups are slowly trying to change that and encourage people to engage with new areas and cash mobs encourage people to spend money in the amount of $20 where they otherwise wouldn’t. Small steps!